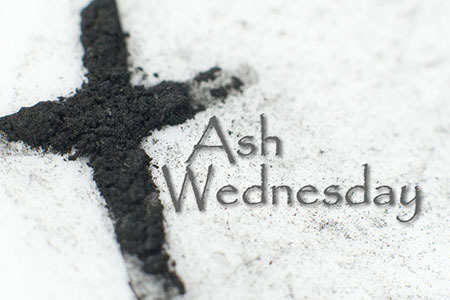 Today is “Ash Wednesday” getting in preparation for the “Lenten” season. I am Catholic and proud of my faith. I became Catholic 3 years ago, and as sad as this time of the year is in the sacrifice and death of Jesus, its my favorite time of the year for renewal. I do practice Lenten season. I normally give something up for 40 days, or I give into something for 40 days, it depends on where I am in my life around this time of the year. This year I am going to practice both .. I am going to give up and giving towards. I am giving up all caffeine in my diet, and not only through drinks but I am giving up caffeine in foods as well. This is going to be a challenge for sure as I love my coffee and my caffeine drinks that give me a pep in the middle of the day. I think it’s going to make a good change in the way my body learns to deal without it .. almost like a cleansing process. In the Lenten sacrifice you are allowed to have Sunday off to have the very thing you gave up… well I plan to do the whole 40 days straight with no days off. If my body does well with it, I am thinking of making this change permanent. I am interested in how this affects my body and changes the chemical balance without caffeine. I have a heart condition and I am supposed to limit my caffeine to begin with, but it doesn’t really stop me, it’s an addiction I guess. I am also going to give “into” something for 40 days. I plan to sit for a half hour every morning at 7am to read the catholic mass reading for that morning. There is a Catholic mass every day, and at 7am every morning I plan to sit in quietness and read the reading for that day. That also will be a sacrifice of my time as I don’t make enough time for Gods word. I think this will be a very uplifting spiritual thing for me to take away and give at the same time. This will also help my healing path become stronger and more focused on many levels. When I was little I would always hear my Nana talk about “Lent” and the things she would give up for 40 days, and because my family didn’t practice the faith they were raised in, I never understood truly what lent was until I became Catholic 3 years ago. Today, I now fully understand what my Nana was going through, and how much I would love to share that with her today. I wish she were alive to see and know that I have become a part of the faith she felt so strongly about. My Nana was a Catholic NUN before she stepped out of the convent to marry a man – which is why I am here today. But she was an amazing woman who loved her faith, and this time of the year reminds me of her and how I followed the path of the faith that means so much to me today. So, Lenten season is here, what would your 40 days of sacrifice or giving towards look like? If you practice Lenten season or not, this is a time to think about what God has sacrificed for us and what can we focus on in the light and image of God on this very important time of the season. Giving something up in order to grow spiritually is a worthwhile thing to do. Caffeine is a big thing to give up for most people. Are you going cold turkey? That is hard. I’ve tried that. We gave up electricity for one day a week through lent a few years ago. That is a story for another time. Well worth it.